Sandbox, voxel, and survival games have taken the world by storm this last decade, and it looks like the frenzy won’t be ending anytime soon. It all started in 2009 when Minecraft was first released, a 3D procedurally generated sandbox voxel game where gamers can build and create entire worlds and landscapes with the use of voxels (or cubes). Even though Minecraft’s graphics and aesthetics are very simple, consisting only of rough 3D cubes of various materials, it is exactly this straightforward and simplistic approach, coupled with the large amount of freedom the game offers to choose how to play it, what has led Minecraft to become one of the most popular and bestselling video games of all times. With a fan base of millions that is running neck and neck with that of Minecraft’s, Roblox is a sandbox game platform that allows users to build and design mini-games and worlds from scratch for others to play through its own game developing interface, Roblox Studio. Although older, Roblox is said to be a mix between Minecraft and LEGO, but what really sets Roblox apart is the endless possibilities of designing a game based solely on the imagination. 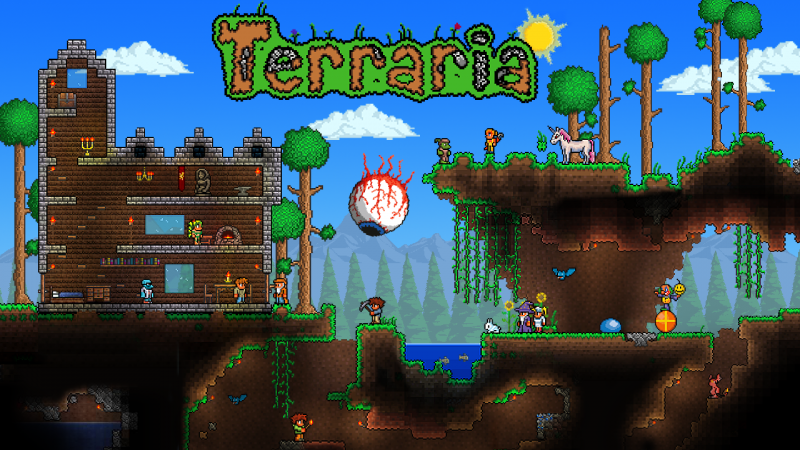 If you’re into side-scrollers, slightly vintage-looking and pixelated games, then look no further than Terraria. Much like Minecraft, its gameplay is based on building structures and exploring surrounding areas, but in this instance, in a 2D procedurally generated world. Each player is given only the simplest of tools: a pickaxe for mining, an ax for wood cutting, and a shortsword for combat. As the game moves forward and the player improves hers or his abilities, more complex and useful tools become available, and thus can be obtained. Another cool factor of Terraria is that it’s also a combat game, consequently, there is no shortage of enemies coming your way, from zombies and slimes to demonic eyes haunting and following you everywhere you go. 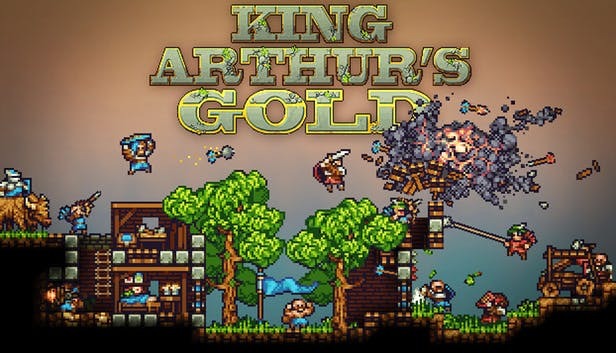 King Arthur’s Gold, or more commonly known as KAG, is an online sandbox multiplayer combat game that revolves around three premises: Building castles and/or war machines, mining resources to accomplish the former and ferocious and intense combat battles. There are also different character classes and gaming modes to choose from. Each player gets to choose whether to be a knight, who specializes in close-range combat; an archer, they have a broader combat range; and builders, who are solely dedicated to design and create castle, fortresses and all the necessary war machines to defeat the enemy. As of today, there are five online multiplayer modes: CTF (Capture the Flag), TDM (Team Death Match), THH (Take the Halls), Sandbox and Challenge. PixArk is Minecraft with a twist, and that twist involves (drum roll) Dinosaurs. Explore, build and fight against fearsome and ferocious dinosaurs, mysterious and magical creatures and enemies galore in the vast world of PixArk. Also, to survive in this mythical land you must domesticate both adorable, pliable creatures and enormous dinosaurs; build strong fortresses and create and design magical tools and devices. 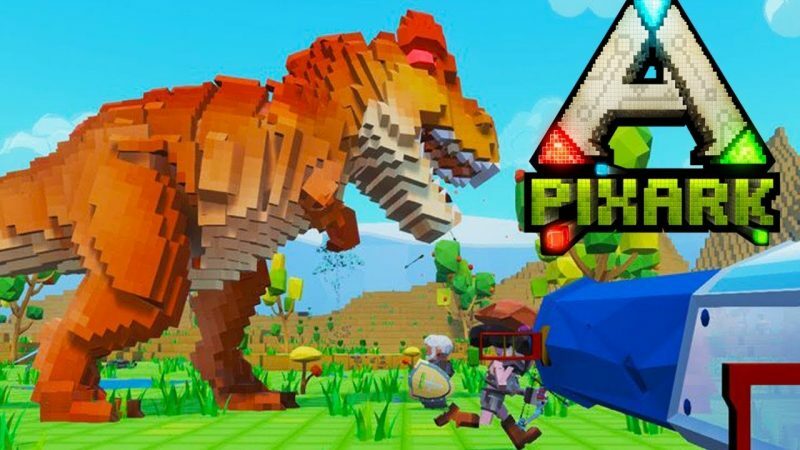 With its voxel game approach, many-a-player thinks Pixark is a definite improvement from its 3D, more realistic predecessor: Ark, survival evolved. It’s no secret to anybody the astonishing popularity some kinds of games have recently gained, namely, Battle Royale and Sandbox games. 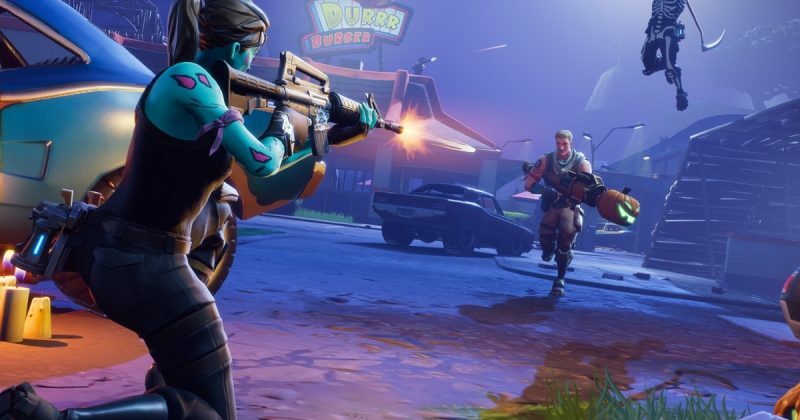 Thus, a group of people had the brilliant idea of mixing both styles, which unsurprisingly enough led to one of this year’s It games: Fortnite. In this fun, exciting and fast-paced game you are plunged from the air along with 99 other competitors into a dystopian world plagued by zombies and monsters, in which ultimate goal is to be the one last standing; to make it, you’ll have to build fortresses and/or any kind of building that could help you achieve your goal.